Classy move from a classy guy. Offensive tackle, Nate Solder, is moving on from the New England Patriots after signing a four-year, $62 million contract with the New York Giants earlier this offseason. But before he officially moves on, Solder decided to go out in style – by taking out a full page ad in The Boston Globe to thank Patriots Nation for their support over the years. 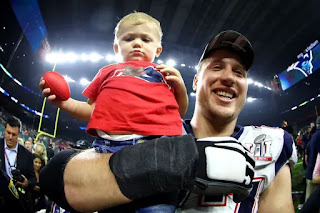 Before his new deal with the Giants unfolded, Solder spent all of his professional career in New England and was part of two Super Bowl champion teams.